The arrival of spring invites you to discover how nature blooms again in the parks and gardens of the city, right? The truth is that Barcelona has many areas in which plants continue to predominate, from gardens that seem enchanted to outdoor play areas for the little ones. Precisely because there are so many, in Lugaris we want to highlight some to create a list of top 10 most beautiful parks in Barcelona, so you can decide between all corners and find some hidden gems that you may not have heard of before. Letting your children’s imagination run wild while they learn about one of the most important architectural movements in the city is possible at Park Güell, one of the most renowned pieces of Gaudí art in Barcelona. 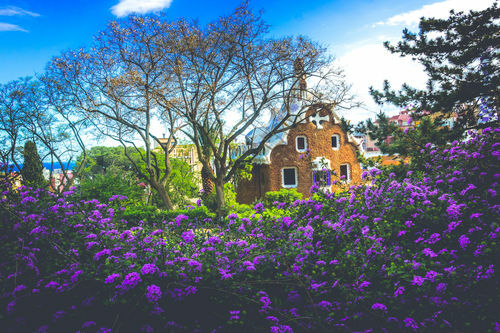 In addition to the main area, for which you must pay an entrance fee, the facilities of the park go far beyond the most well-known monuments and offer a network of charming paths and corners where children can run and play at their own pace while discovering the work of the architect from Reus. Stroll along the palm tree promenade, walk over the three bridges that connect the different areas and allow the children to play hide and seek through the network of stairs that you will find along the way. Where is it located? Access the park for free through the door on the right of the main entrance on Olot Street. This public park was inaugurated in the middle of the last century and is the ideal place to have a picnic with children without having to leave Barcelona. These gardens, superbly equipped for all types of visitors, stand out for their magnificent collection of rose gardens, which perfume the place in a truly amazing way. The pergolas located in it allow you to find shaded areas during most of the day, and your children will have a great time playing in the play area and the ping-pong tables that the gardens have. Where is it located? Next to 706 Diagonal Avenue, right in front of the Zona Universitària metro stop. 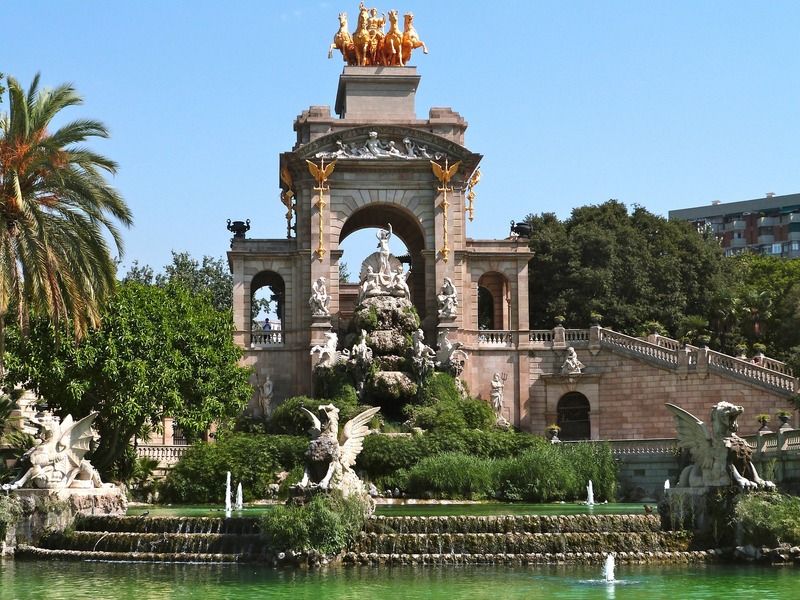 If you are looking for fun things to do in Barcelona, without a doubt the Ciutadella Park has all the features to become your favourite place. It is in the heart of Barcelona, which was formerly the Ribera neighbourhood, destroyed by the Bourbon troops. Once the military citadel that replaced it was demolished, the park has housed many other venues, such as an amusement park or a zoo. Nowadays, you can walk along its different areas, which are ideal to stretch out on the lawn or enjoy the activities that are organized daily, as it is one of the liveliest parks in Barcelona too. In addition to admiring the impressive mammoth that you will find next to the waterfall fountain, children will have the opportunity to row on a small boat in the lake or play with the swings in the playground area. Where is it located? At the end of passeig de Lluís Companys, between the neighbourhoods of Born and Poblenou. If in addition to looking for a public children’s park in Barcelona you also want a place to cool off, the Parc de la Creueta del Coll is ideal. In the large square that welcomes visitors there are many play area features with which they will have fun. One of the great attractions of the Creueta del Coll is the large lake that becomes one of the outdoor swimming pools in Barcelona during summer, so you can take advantage of the opportunity to take a dip. In addition, over it hangs the sculpture Elogio del agua by Eduardo Chillida. From this point you can also start one of the cycling routes in Barcelona. Want to go for a spin? Where is it located? The entrance is on Castellterçol Street, in front of the El Coll metro stop. If you are looking for a playground near our sea view apartments in Barcelona, this is the best option. The personal brand of Jean Nouvel, creator of the emblematic Torre Agbar, is reflected again in this park in the neighbourhood of Poblenou, this time with the help of Gaudí’s inspiration. This park is perfect for children to discover each of its corners, travel the well of the world or hide in the cabins that are distributed in the area. Where is it located? 130 Diagonal Avenue, next to the Pere IV or Fluvià tram stop. Have you come to visit Barcelona without children? Are you looking forward to finding the most romantic corners of the city? Here you have some of the most beautiful parks in Barcelona to visit as a couple. 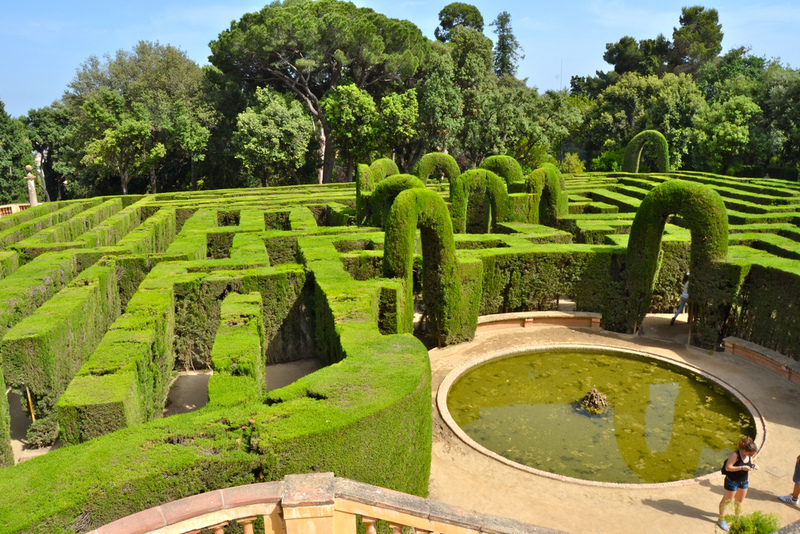 One of the best-known places is this beautiful park located in Vall d’Hebron, famous for its labyrinth and for having been one of the locations of films shot in Barcelona. If this fun-fact does not spark your partner’s interest, we recommend that you take them for a walk around some less visited areas (the labyrinth is the most frequented), like the Romantic Garden or the Danae pavilion. How to get there: you can get there by subway, getting off at the Mundet stop as well as at Valldaura. The park is located just above the Marià Cañada Lacasa Gardens, in Germans Desvalls Street. One of the hidden gems of Barcelona, this park in Sarrià is crowned by a neo-Gothic palace from the late seventeenth century. The low affluence in this park will allow you to walk quietly among the statues that represent the different lineages of the Sentmenat family and look for the palm trees’ shy shadows that make up this classic French style garden. How to get there: The Can Sentmenat gardens can be found at 16-18 Can Caralleu Street, about 17 minutes’ walk from the railway station of Reina Elisenda. If you are familiar with Barcelona already you will know that the gardens of El Grec are one of the least known of the mountain of Montjuïc but are also the most special. After visiting the amphitheatre, you can walk through the geometric beds that draw the flora planted there and smell the unforgettable perfume of roses. Finish the tour listening to the water fall through the Font del Gat for a completely round date. How to get there: You can go up the stairs that are in the passeig de Santa Madrona, 38, in the neighbourhood of Poble-sec. A quiet place sheltered from the urban jungle, the gardens of La Tamarita stand out as one of the most romantic places in Barcelona. Although the estate was built in the eighteenth century, it was at the beginning of the twentieth when the owner ordered the creation of this wonderful garden, which consists of two marked areas. Discover the fountains that are scattered around with your partner, the forest area or the neoclassical statues that you will find during the walk. How to get there: Passeig de Sant Gervasi 47-49, just in front of the Tibidabo Avenue subway exit. Another of the most beautiful parks in Barcelona that is located in Montjuïc is the Botanical Garden: a vast area, that is perfect for reflection. This space is divided into 8 zones that aim to represent the Mediterranean ecosystem and its great diversity. Built in the 90s, this large space has become a benchmark for the conservation and sustainable development of parks. How to get there: it is located between the castle and the Montjuïc stadium, specifically on Doctor i Font Quer Street. Now that you know more about the most beautiful parks in Barcelona, we also want to offer you a couple of less popular alternatives, but none the less attractive. 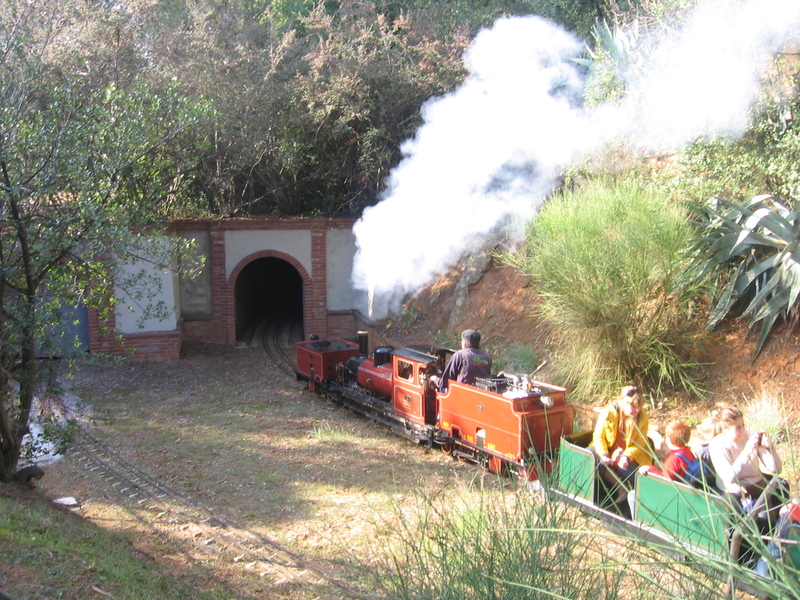 The first is the Castell de la Oreneta park, where children will have a great time riding a mini train. 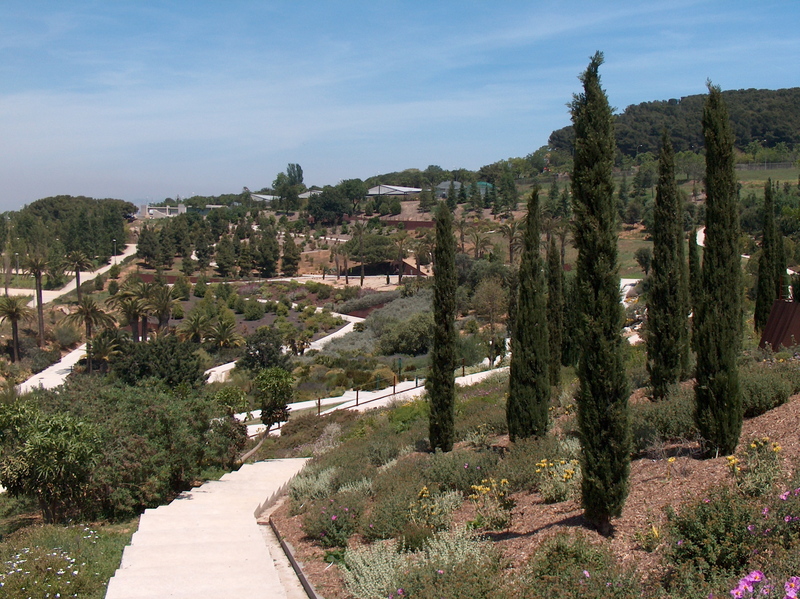 Another option, aimed for couples, is the Palau de les Heures, a rather unknown place on the Collserola mountain where you can stroll through its romantic garden. And if you want to add one to our list of most beautiful parks in Barcelona or want to comment on your experience if you have visited them, do not hesitate to leave your recommendations.